Amitel is a private association under the conditions of the specific local laws governing associations. It was created in the early 1920s by a handful of people concerned about the future of young people. For almost 100 years now, Amitel’s ambition has been to offer modern and comfortable accommodation adapted to the needs of young people. With 484 studio apartments in a range of properties and 34 other types of accommodation, each year Amitel supplies over 2000 young people from around sixty nationalities with accommodation in Strasbourg and Haguenau. But Amitel does much more than just offering accommodation. 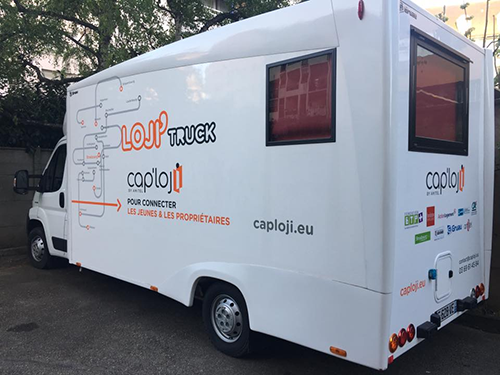 It also provides young people with support for their future housing projects, job seeking, internships or apprenticeships AMITEL also offers a housing service - Cap Loji operates across the Bas Rhin region. A member of UNAFO (Union professionnelle du logement accompagné - Professional union for assisted housing), today Amitel is recognised for its leading role in housing for young people in Strasbourg and its surrounding area. AMITEL works in partnership with local authorities, training centres, companies etc.